choose our historic Craftsman Haus. 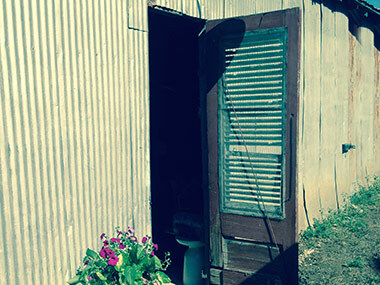 The Big Cottage: Vintage 3 bedroom, country cottage perfect for peace, romance, family and fun! 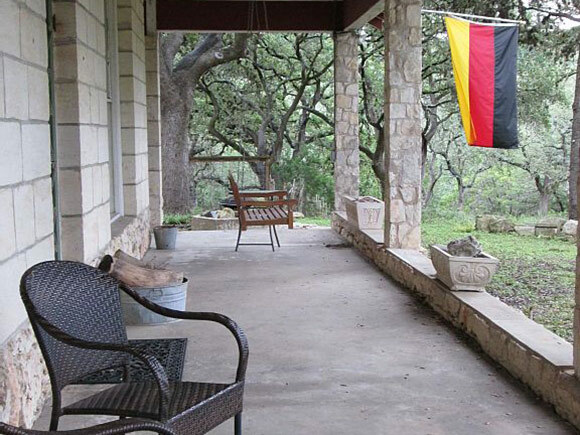 This San Antonio Historic Home has Hill Country Views. Pets are welcome! 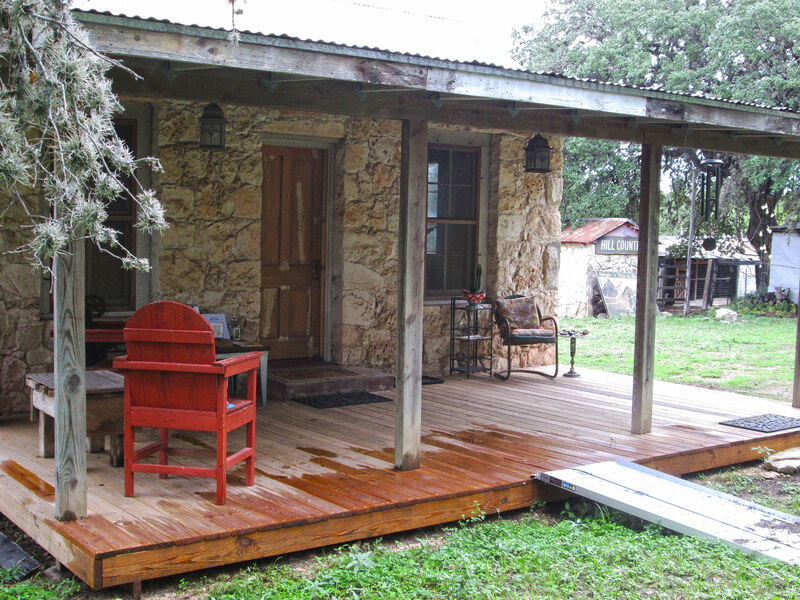 Romantic Cottage Hideaway for 2 with Hill Country Views! 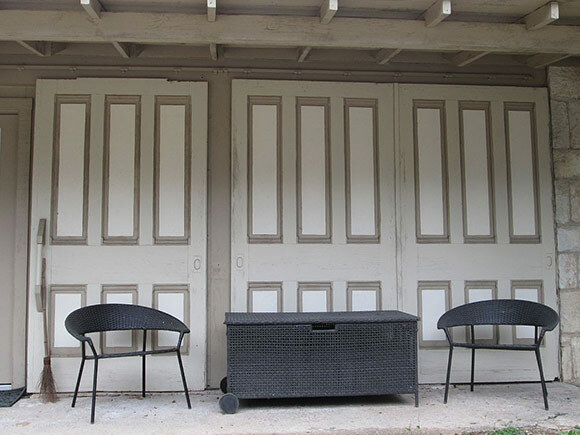 Our Carriage House in San Antonio is a charming loft space with kitchen, dining area, queen bed & spacious bathroom. Our Lodge offers comfort combined with just a bit of roughing it...front porch with rocking chairs is the ideal place to relax with an ice cold drink. The old hay barn has found new life as a gathering place for celebrations, parties, dinners or just hanging out. Charming 100-year-old home in San Antonio features a wide front porch for lounging in the cool breezes, sipping lemonade and enjoying a leisurely conversation. Plat map of the original ranch. Click for larger image. In 1919, my great-grandfather, Erich Menger, and his brother Rudolph purchased 560 acres in the hill country. In 1922, Erich and his wife, Lydia, bought Rudolph’s share and built a charming rock cottage. My great-grandparents raised registered Angora goats, cattle and sheep, and ran a dairy. Together they spent nearly 30 years at the ranch. During my childhood, it was at the ranch that our family harvested our Christmas trees, camped, hunted, and gathered for picnics with extended family. We swam in the cistern full of fresh rainwater or we rode on the tailgate down tot he pool made by dam in the Helots Creek. But in 1973, our family sold the property. I vowed that someday, I would buy the ranch back. In 2000, my sister drove past and saw the for sale sign. 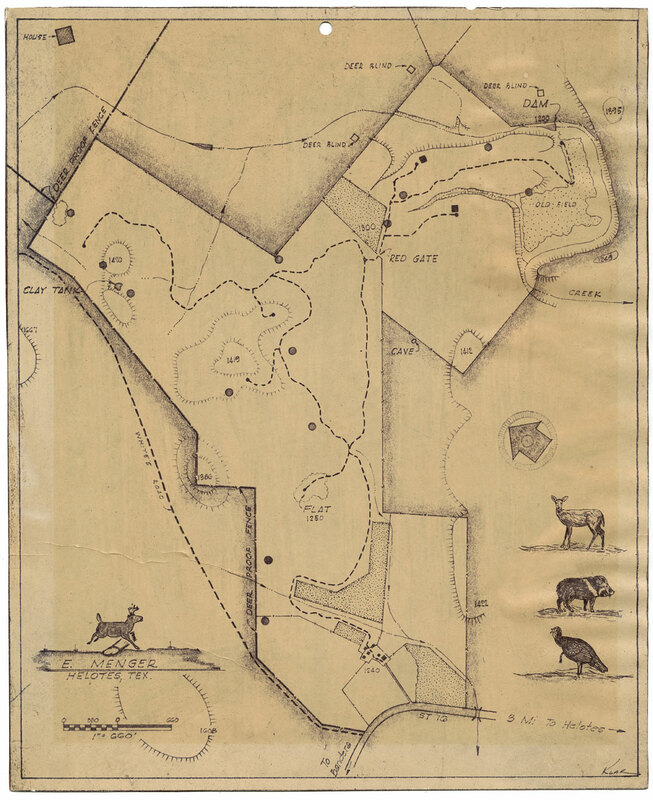 Most of the land had been subdivided but the remaining seven acres contained the original ranch house, a smaller cottage, carriage house and barns. In December 2000, my husband and I fulfilled my dream of recovering the ranch. Hospitality: A Menger-Klar Family Tradition: For more than 100 years, my family has been known in San Antonio for their hospitality and generosity. One ancestor, Rudolph Menger and his wife, Babette, along with his in-laws, William Menger (a different line of the Menger family), operated the famous Menger Hotel. My great-grandfather, Emil Klar, was a butcher who specialized in home-killed meats and “the sausage with a flavor.” Opi, as he was known in the German tradition, gave meat to hungry neighbors during the Great Depression until he could no longer run his business. My grandfather, Roland Klar, along with my grandmother, Floy (nee Menger) Klar, brewed homemade beer to share with their salon of many friends. Today, my cousin Erich Menger is one of the most sought-after caterers in town. 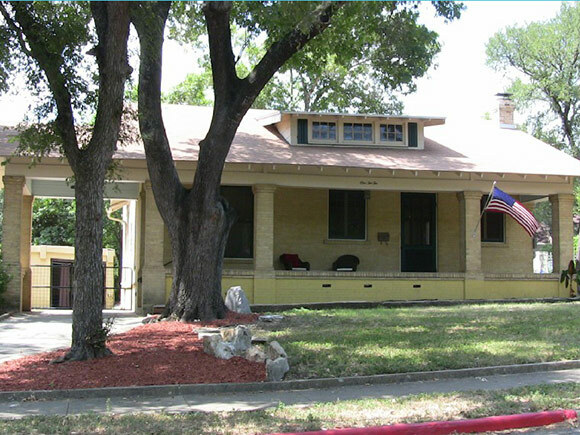 Now my husband and I continue that tradition of hospitality with executive and vacation rentals of our historic family properties known as the Menger Cottages. Willkommen!